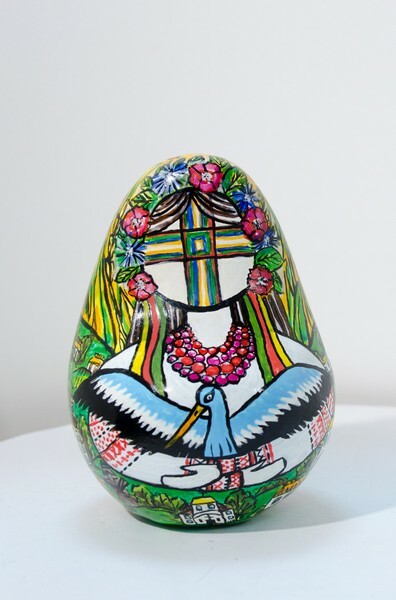 The exhibition that will be presented in the National museum “Chornobyl” on March, 11, 2017 at 13.30, displays 200 Okiagari-koboshi designed by famous artists from France, Italy, Japan and Ukraine and Chornobyl accident liquidators, affected people and children. 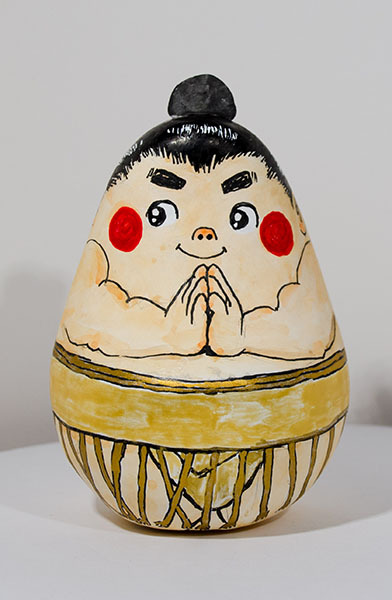 Okiagari-koboshi (literally “a little priest who gets back up”) is a work of folk art, talisman that over 400 years since the Edo period symbolizes good luck for the residents of Aizu region of Fukushima prefecture. Now, after the Great Earthquake of 2011, it embodies the credo of Tokohu residents: “never give up”. Quietly and patiently people are restoring what they have lost and however much they fall, they always rise with a gentle smile on their faces. Okiagari-Koboshi project is the idea of the Japanese designer Kenzo Takada, who lives and works in France for many years, far away from his motherland. 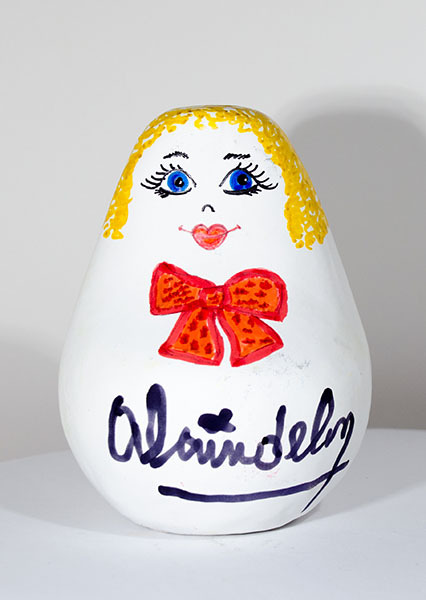 Famous French, Italian, Spanish artists designed the dolls expressing best wishes for early recovery of Japan from the natural disaster. 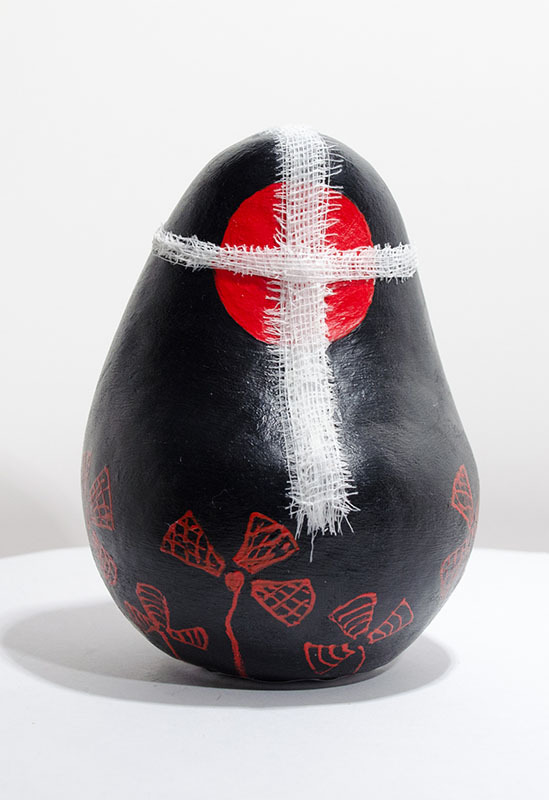 Japanese artists cover the white base of the dolls made by the local craftsmen from Aizu region, with symbolic paintings and send prayers for the speedy resumption of their homeland. 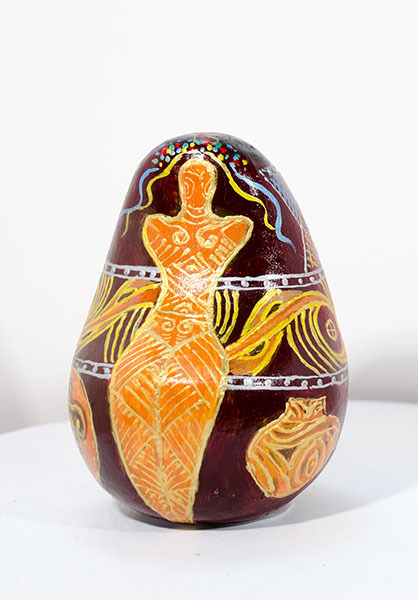 Okiagari-koboshi designed this way were already exhibited in France and other European countries. 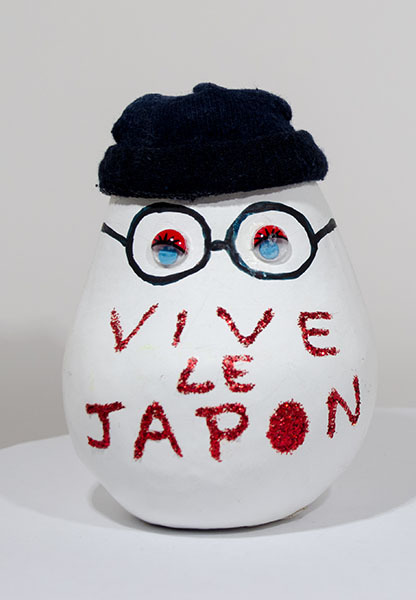 Such exhibitions give the opportunity to remember and reflect upon the Great East Japan earthquake and the accident it caused at the Fukushima NPP, about people who strive for revival, about solidarity and support in such recovery. 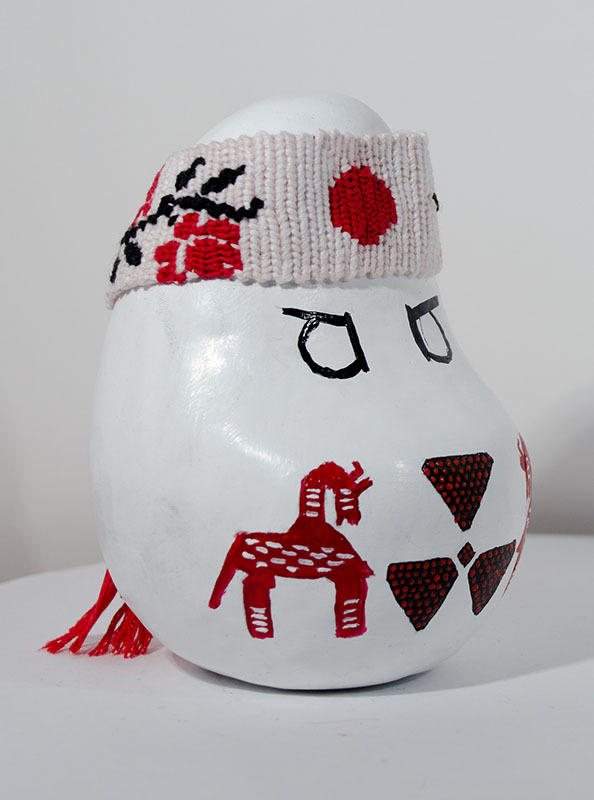 In future Okiagari-koboshi are planned to be donated to the Fukushima people as a sign of support from Europe. In 2017 this project came to Ukraine. 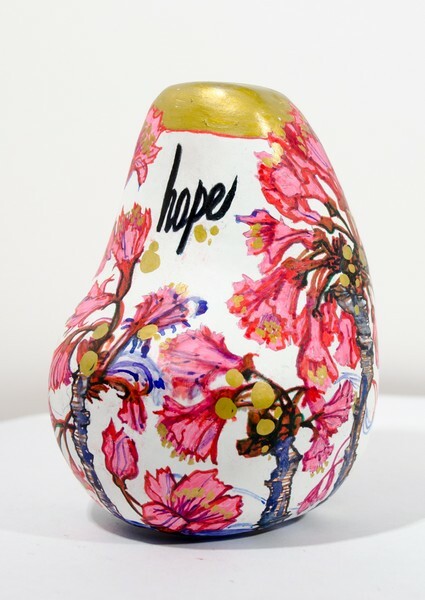 For the support of the Fukushima residents Okiagari-koboshi were painted by the Chornobyl accident liquidators, evacuees from the contaminated regions, Ukrainain children, disabled children, prominent Ukrainian artists, musicians and sportsmen. These okiagari-koboshi are special, because they were made of paper recycled from thousands origami cranes that were sent to Hiroshima from all over the world to the Peace Memorial with the Peace Monument to Sadako Sasaki, a Japanese girl that died of leukemia after the atomic bombing. 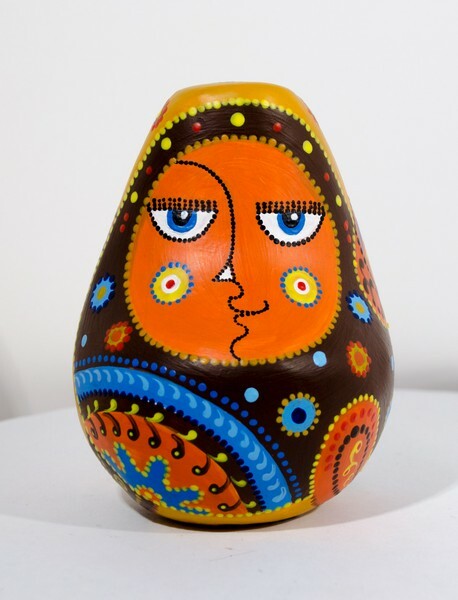 Traditional dolls, Japanese Okiagari-koboshi and Ukrainan tumblers (weeble wobble, roly-poly toy) have much in common. They symbolize the main feature of the two nations’ character – the ability to overcome the most adverse circumstances patiently and courageously. In different times people of Japan and Ukraine went through global tragedies of the 20th and 21st century, which are characterized by the severe after-effects of the nuclear epoch. These tragedies have not just changed the history of the two countries, but also self-awareness of the Japanese and Ukrainian people and engraved a longing desire to live in peace and conciliation, serving as an example of reconciliation between human, science and technology that endangered existence of the human civilization and the Earth. 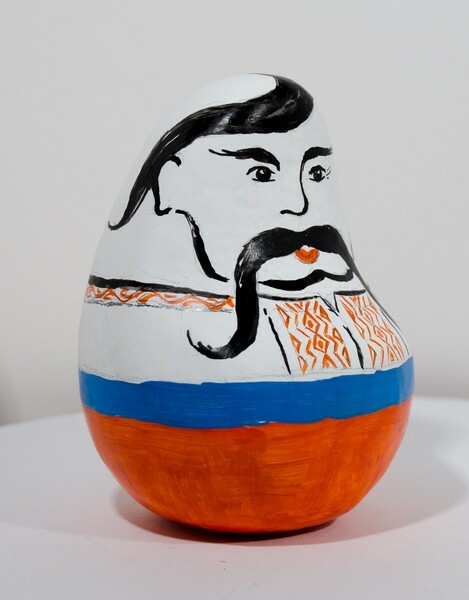 The exhibition presents 200 Okiagari-koboshi from European countries, Ukraine and Japan. “Kids Guernica” canvas serves as an emotional addition to the exhibition that enforces the message of aspiration for peace and recovery. 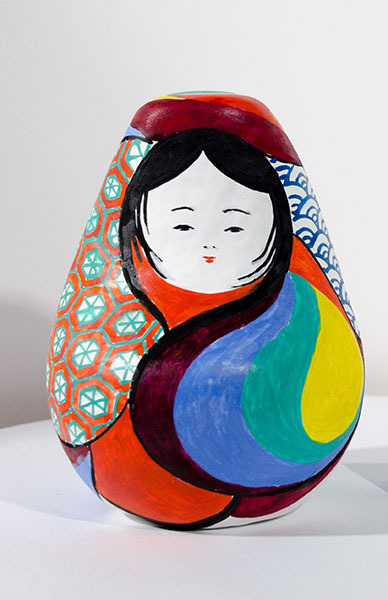 It was made by children of Hiroshima and Nagasaki, two Japanese cities that lived through A-bombing in 1945. Kids Guernica is an international children art’s project to create peace murals all over the world on the canvas of the size of “Guernica” by the Spanish painter Pablo Picasso, one of the most prominent artists of the 20th century. This year Ukrainian children also joined the Kids Guernica project.